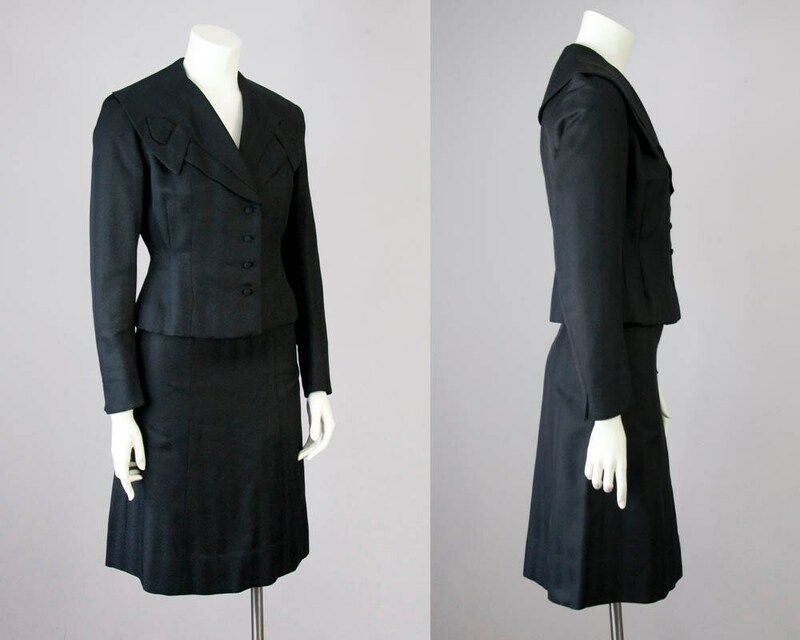 50s vintage 3-piece suit. Textured silk-like rayon fabric. Beautifully tailored feminine silhouette. 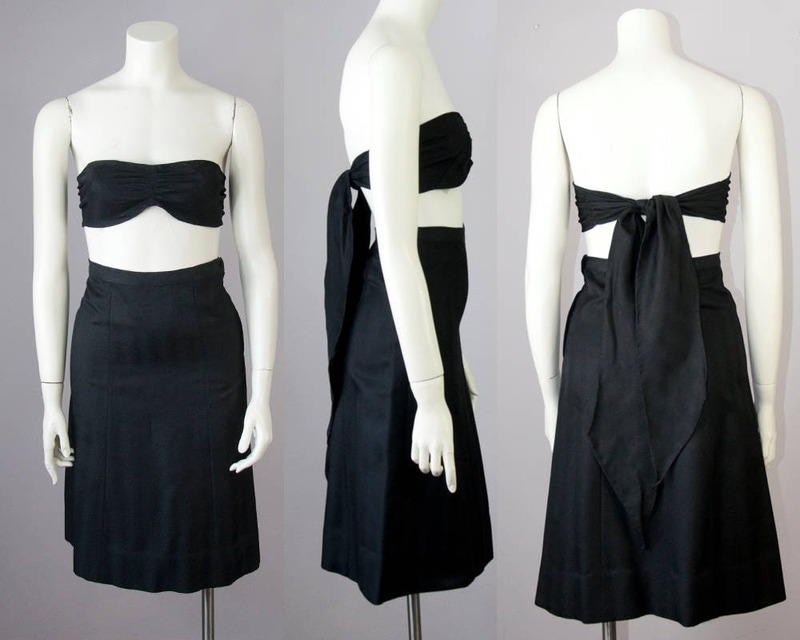 High-waisted flare skirt with side metal zipper closure. Falls below the knee on average height. 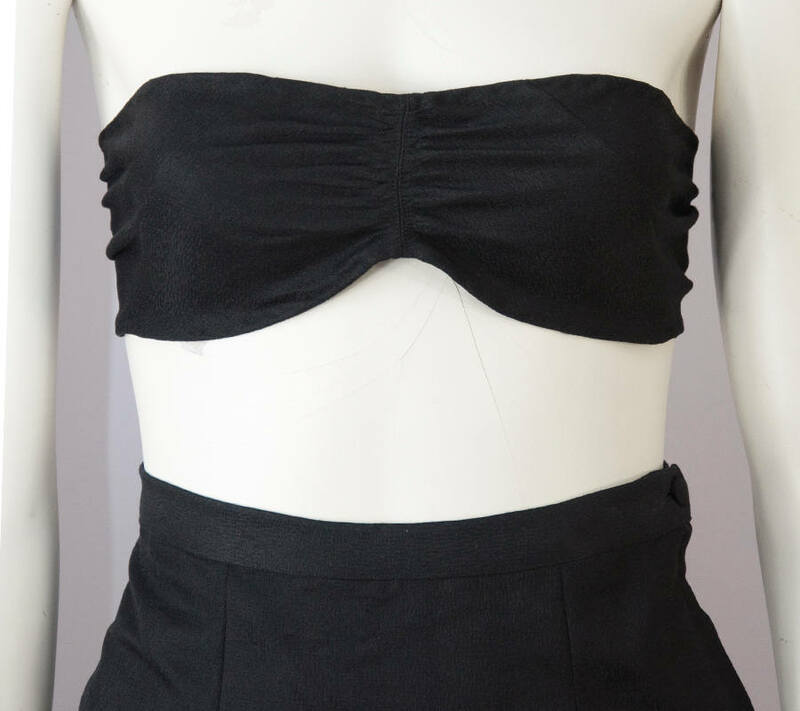 Cool bandeau top with ruching. 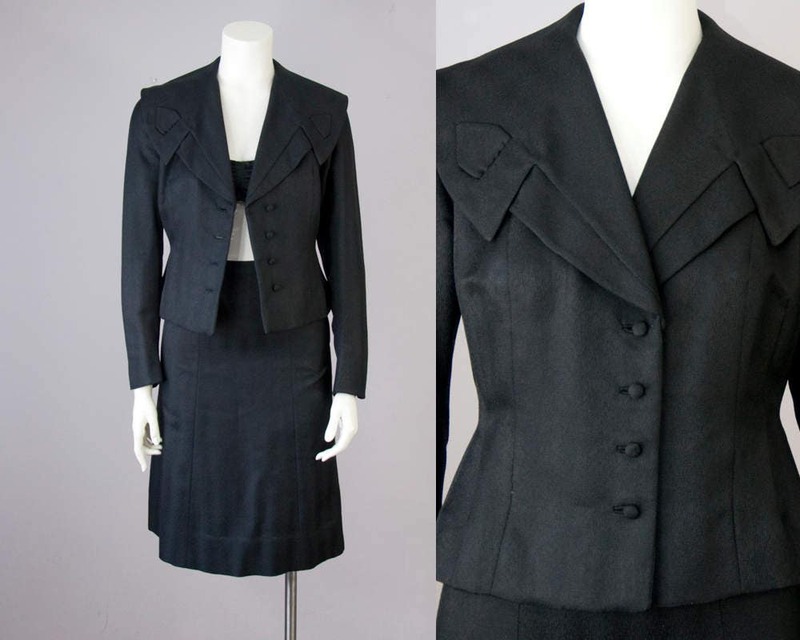 Jacket and skirt are fully lined in black satin with a geometric tone on tone print. 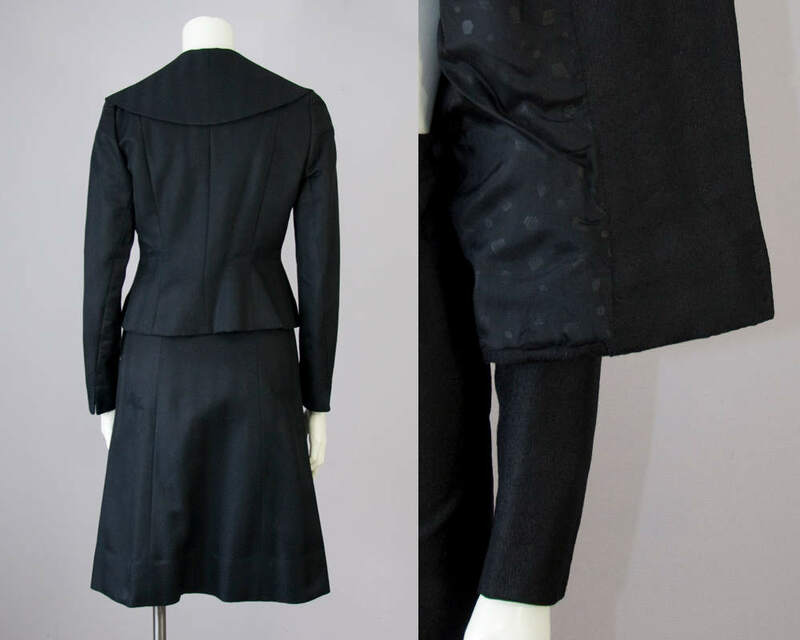 Jacket has slits at the sleeves -- could be cuffed or worn down as shown. Some photos have been lightened to show details -- color jet black. Please note skirt is a little too small on mannequin. Length (tip to tip): 80"